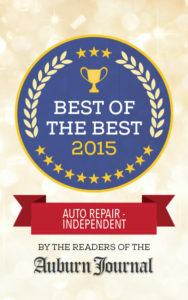 After 21 years, one loyal employee is taking over an auto repair business starting today. 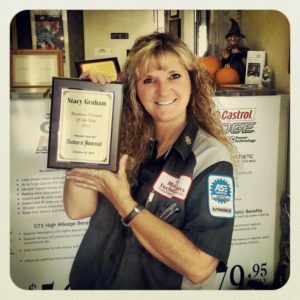 Stacy Graham, 49, has been working at The Master Technicians since 1996, just three years after the business opened. The Master Technicians was founded by Jimmy and Roni Mullenix, but after working for so many years, Jimmy decided it was time to retire. Jimmy approached Graham about buying the business from them, and after some soul searching and taking time to think, Graham took the chance. “He approached me and we worked out a deal. I couldn’t turn down this amazing opportunity,” said Graham. Master Technicians only works on Toyota, Honda, Lexus and Acura vehicles, and they have a tendency to keep their workers for long periods of time. Graham has eight employees, which she calls the “dream team,” with most of them having been with the company more than six years. “I couldn’t have done any of this without the dream team and the amazing customers,” she said. Graham started with the company as an admin clerk, then a service advisor and then a managing partner before becoming the sole owner. She said that cars just made sense to her and made it easy, which is a far cry from the girly-girl cheerleader. “My mother didn’t even know how to put gas in her own car,” said Graham. Graham said that she has worked in the auto industry so long she didn’t realize that being a woman owner was something different. “The idea that women can’t understand cars is old, I think we are overcoming that barrier,” she said. Graham has several women employees and encourages others to follow their dreams and work hard to get what they want. “I hope this opens more doors for other women to do what they love and not hold back,” said Graham. For the article on the Auburn Journal, click below.